Direct Office Solutions is a local company that offers new and used office furniture for Hollywood, Florida business decision-makers. We have decades of combined experience, and we have a huge inventory of executive desks, office chairs, conference tables, chairs for waiting rooms and portable chairs, and more. 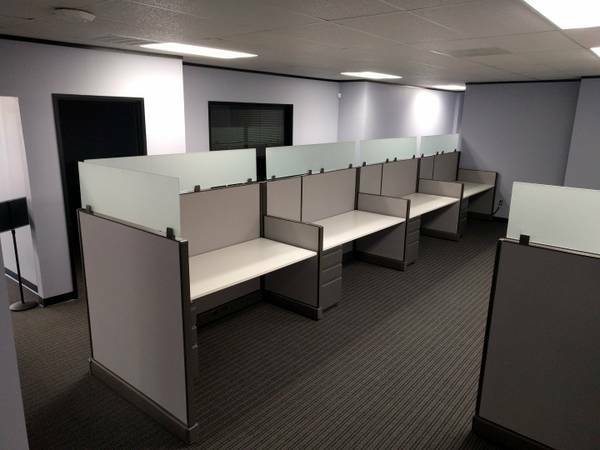 Driftwood Acres to the Diplomat Avenue/Washington Street section and everywhere in between, for new and used office furniture in Hollywood, Florida, Direct Office Solutions is the only logical choice. In addition to the executive desks, office chairs, conference tables, and other types of furniture that we offer, we are the leading source for office cubicles in Hollywood, Florida. We specialize in remanufactured workstations as well, so we can provide the ideal solution for all different types of business environments. Plus, we offer another service that really sets us apart from other office furniture providers. We have an in-house design team that can be engaged to satisfy all of your space planning needs. Our people can sit down with you to gain an understanding of your space and put their expertise to work to design the ideal office configuration. They utilize 2D and 3D drawings to model space maximization, and our clients are often amazed when they see the results. At the end of the day, everything will be in its place, and your office will be operating at peak efficiency. Contact Direct Office Solutions Right Now! The conference tables, executive desks, office chairs, remanufactured workstations, and office cubicles that we offer are sourced from the most respected manufacturers in the business. And as we have stated, we offer space design services as well, and we do not charge for our design work. Given the high quality products and services that we provide, you may assume that our furniture is expensive, but in fact, it is actually quite affordable. If you would like to learn more, you can speak with one of our knowledgeable Hollywood, Florida used office furniture consultants right now if you give us a call at 954-440-4410.